Benny Guitron salutes at the 2009 Magnificant 7 at Western States Horse Expo in Sacramento. MERCED — California horseman and 20-Year breeder Benny Guitron of Merced died Dec. 18 following complications with cancer. Born February 12, 1948, in Glendale, Benny was raised on his family’s farm in Indio. His father was a farmer and enjoyed attending horse shows. He took Benny with him every chance he had, and Benny grew to love the reined cow horse sport. Reared around famous horsemen such as Jimmy Williams, Harold Farren, Red Neal, Don Dodge and Tony Amaral, Benny’s appreciation and love for the old traditions took hold of him at a young age. Fascinated by the vaquero customs since childhood, Guitron painstakingly learned the process of working and training horses. It was during the 1970s that Benny Guitron truly stepped into his own in regard to the life that he would lead as a horseman. When his father passed away, he truly felt the need to pursue horses, reined cow horses to be exact. Contacting his “hero,” Tony Amaral, Benny went to work for him and later worked with Bobby Ingersoll before purchasing his own facility in Merced. Through the years, Benny became known as a historian who has worked to preserve the history of the people and horses who make up the reined cow horse. He was dedicated to the heritage of the event, lifestyle and continuation of the National Reined Cow Horse Association, which makes it no wonder why he was inducted into the NRCHA Hall of Fame in 2015. Benny’s dream to become a horseman was fulfilled — a dream to truly know horses inside and out, to be a cowboy and to know the process fully from start to finish. That, along with his study of bloodlines and pedigrees enabled his opinion to exceed mere theory. Guitron was the 1976 NRCHA Snaffle Bit Futurity open champion, the 1979 NRCHA Snaffle Bit Futurity open bridle champion, and the 1980 and 1981 NRCHA Snaffle Bit Futurity open hackamore champion. He also coached many riders to wins and accomplishments of their own. 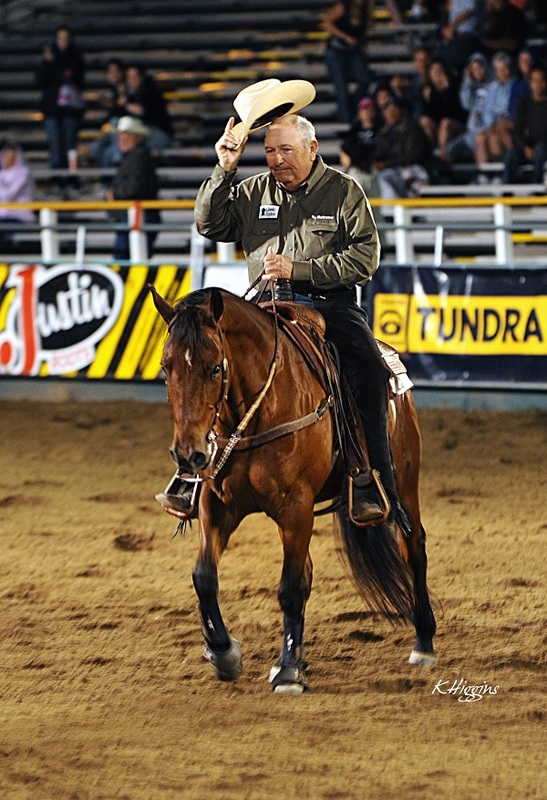 In 2005, Benny was honored by his peers with the AQHA Professional Horseman of the Year award. Benny has two sons, Tom and Wayne. Both boys have ridden and shown and, in the end, found happiness and careers outside the horse world. He shared the last 30 years with show clothing designer Paula Duiri. “It’s been a great ride,” Guitron once said. Grateful and humble of his accomplishments, Benny truly felt fortunate to live the life that he did.